This 8" x 10" fine art giclee print was made from an original ink, colored pencil, and chalk pastel drawing. 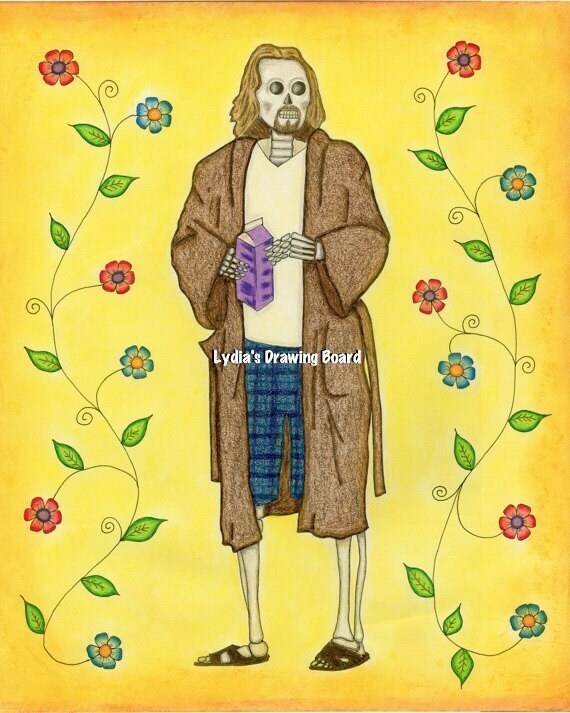 The drawing is a mash-up of "Day of the Dead" and the Dude from "The Big Lebowski." 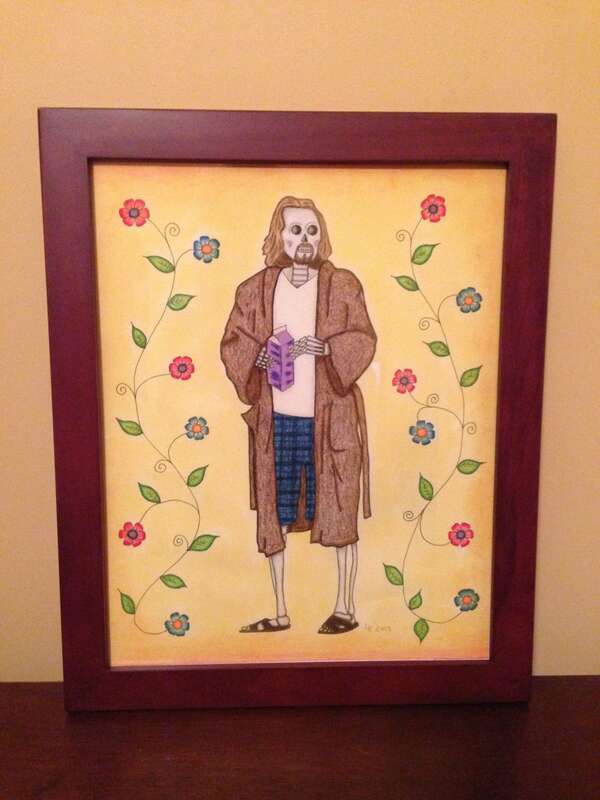 Day of the Dude. The original drawing was done for a Dia de Los Muertos show at ZaPow Gallery in Asheville, NC. Prints are done by the artist at her home on an Epson Stylus Pro 3880 using Epson UltraChromeK3 archival inks on Epson Ultra Premium Presentation paper. The print is open edition, hand signed and dated by the artist. It comes with cardboard backing and in a protective cellophane bag. The print has a small white border for framing, with or without matting. The watermark will not appear on the print. Frame not included.